What3words is a Geo coding system for the communication of locations with a resolution of three metres. what3words encodes geographic coordinates into three dictionary words. For example, the torch of the Statue of Liberty is located at “toned.melt.ship”. This differs from most other location encoding systems in that it displays three words rather than long strings of numbers or letters. What3words has a website, apps for iOS and Android, and an API that enables bidirectional conversion of what3words address and latitude/longitude coordinates. Founded by Chris Sheldrick, Jack Waley-Cohen, Mohan Ganesalingam, and Michael Dent, what3words was launched in July 2013. What3words uses a grid of the world made up of 57 trillion squares of 3 metres by 3 metres. Each square has been given a three-word English address. What3words has named the 57 trillion squares on land with three words in various other languages. As of December 2016, what3words addresses (web and iOS app user interface) are available in Arabic, Finnish, French, German, Italian, Mongolian, Polish, Portuguese, Russian, Spanish, Swedish, and Turkish. The iOS app also supports Swahili (Kiswahili). With announced plans for a total of 25 languages, the company targeted for the start of 2018. Chinese, Indonesian, Japanese, Korean, and Hindi. The company has also mentioned Greek, various languages of Nigeria and India, including Bengali, Farsi, Hindi and Urdu. Each what3words language uses a word list of 25,000 words (40,000 in English, as it covers the sea as well as land). The lists go through multiple automated and human processes before being sorted by an algorithm that takes into account word length, distinctiveness, frequency, and ease of spelling and pronunciation. Homophones and variant spellings are treated to minimize any potential for confusion, and offensive words are removed. The what3words algorithm actively shuffles similar-sounding three-word combinations around the world to enable both human and automated error-checking. The result is that if a three-word combination is entered slightly incorrectly and the result is still a valid what3words reference, the location will usually be so far away from the user’s intended area that it will be immediately obvious to both a user and an intelligent error-checking system. 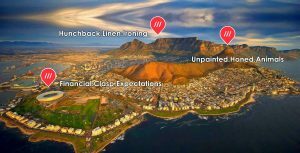 The what3words system uses a proprietary algorithm in combination with a limited database, meaning that the core technology is contained with a file around 10 MB in size. what3words originally sold “OneWord” addresses, which were stored in a database for a yearly fee, but this feature has been canceled. The main claimed advantage of what3words is memorability and unambiguous nature of words for most everyday and non-technical uses. Above mentioned is a brief about what3words. Stay tuned for the latest trends in Technology.